Background: We began widespread the use of fetal heart screening (FHS) in south Osaka from 2002. Purpose: To analyze the effects of and problems in FHS. Methods: In this study, we included 1,743 fetuses referred to our institution for fetal echocardiography and 528 neonates admitted in the cardiac ward between 1995 and 2008. 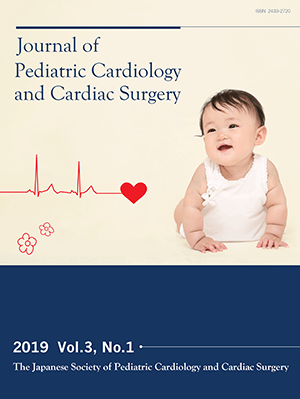 We divided the study into two periods, i.e., the early period (1995–2001) and the late period (2002–2008) and compared the following parameters: (1) incidence of congenital heart disease (CHD) during the study period, (2) rate of prenatal diagnosis of CHD in fetuses admitted, (3) reason for referral, (4) ratio of other fetal anomalies to CHD, (5) CHD diagnoses, (6) outcomes of fetuses with CHD, (7) differences between outcomes of neonates admitted with and without prenatal diagnosis. Results: (1) The rate of prenatally diagnosed CHD increased significantly in the late period. (2) The percentage of neonates with prenatal diagnosis increased annually and exceeded 60% in 2008. (3) The most common reason for referral was suspected CHD in the late period. (4) Ratio of other anomalies to CHD tended to decrease in the late period. (5) Abnormalities such as transposition of the great arteries, as identified by outflow viewing, increased in the late period. It was difficult to detect total anomalous pulmonary venous connection, even in the late period. (6) The survival rate improved in the late period. (7) There were no differences between those with and without prenatal diagnosis. Conclusions: Fetal heart screening leads to an increase in the number of prenatal diagnoses of CHD. It has not been proven that FHS improves the outcomes of patients with CHD. Detecting total anomalous pulmonary venous connection was difficult, despite using four-chamber and outflow views for screening.